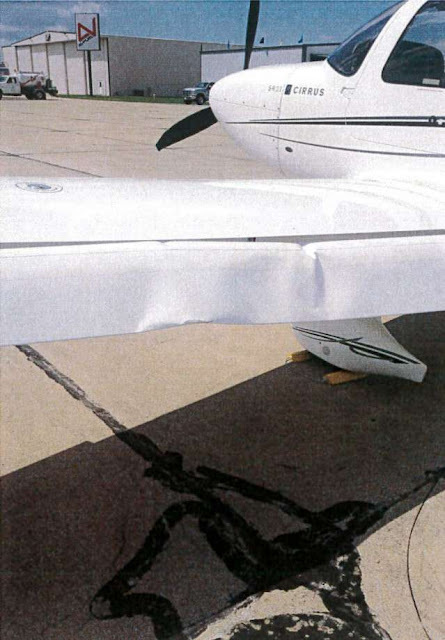 This undated photo provided by the Bloomington Normal Airport Authority shows a damaged wing of a Cirrus SR22 (N176CF) plane at the Central Illinois Regional Airport in Bloomington, Ill. Iowa State University President Steven Leath caused "substantial damage" to the university airplane he was piloting when it made a hard landing at the Illinois airport last year — a costly incident kept quiet for 14 months. The Iowa State University Foundation paid nearly half of a million dollars more than previously reported for a twin-engine aircraft it purchased in 2014 and gifted to the university, according to documents released Wednesday night by Iowa State. The purchase, sales, listing and acquisition agreements show the foundation paid $2.875 million to buy a 2002 Beechcraft King Air 350 for use by ISU Flight Service. University officials previously told the Des Moines Register the foundation paid $2.4 million for the plane. University officials released a number of documents Wednesday related to the operation of ISU Flight Service and the use of university-owned aircraft by ISU President Steven Leath. The release came nearly three weeks after officials confirmed Leath, who has a pilot’s license, had damaged the university's single-engine Cirrus SR22 plane during a hard landing last year in Bloomington, Ill. The incident has since raised questions related to Leath flying the plane for at least four trips that mixed personal and university business. It also has raised questions about how Leath has used the King Air plane as a passenger and how both planes were purchased in 2014. The purchase of the King Air is the only occasion in the past five years in which a foundation for any of Iowa’s three public universities has purchased such high-priced piece of equipment to be gifted to its university. The purchase of the King Air had been a priority for the ISU Department of Athletics, according to an FAQ released Wednesday by the university. The money for the purchase came from discretionary funds from the ISU Foundation that are designated for that purpose. Information released Wednesday also shows that the title for the King Air was transferred directly from the seller — the Canadian-based PIC Flight Services Inc. — to the university and not to the foundation. Officials with foundations for the University of Iowa and the University or Northern Iowa reported last month having no such purchase of equipment costing more than $1 million in the past five years. UI officials later clarified that the UI Foundation has not purchased any equipment to gift to the university; the foundation provides the funding for the university to make such purchases. Officials with the ISU Foundation confirmed Thursday that they have not made any other $1 million-plus purchases on behalf of the university. The Iowa Board of Regents, which oversees Iowa’s three public universities, had a policy at the time of the purchase requiring the universities to seek board approval of any equipment costing $1 million or more. Regent and university officials have said that because the plane was purchased by the foundation, approval from the full board was not required. State lawmakers have suggested that if the plane had been placed on the agenda for a regents meeting, it would have led to a broader discussion about whether a public university needs to own aircraft at all. In response to questions about Leath’s use of university aircraft, regent internal audit staff are conducting a review to ensure the equipment and travel policies at all three universities are in compliance with state law. Discussion of the review is scheduled for the regents Oct. 19-20 meeting in Cedar Falls. Regent officials said last week the board’s internal audit division has not looked at ISU Flight Service for more than a decade. 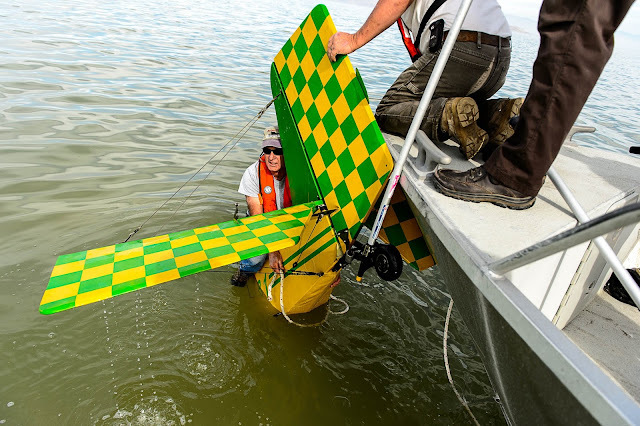 Iowa State obtained the smaller Cirrus plane during the same year as the King Air. Both planes replaced two older planes previously used by ISU Flight Service — a 1977 King Air and a 1978 Piper PA 28-161. 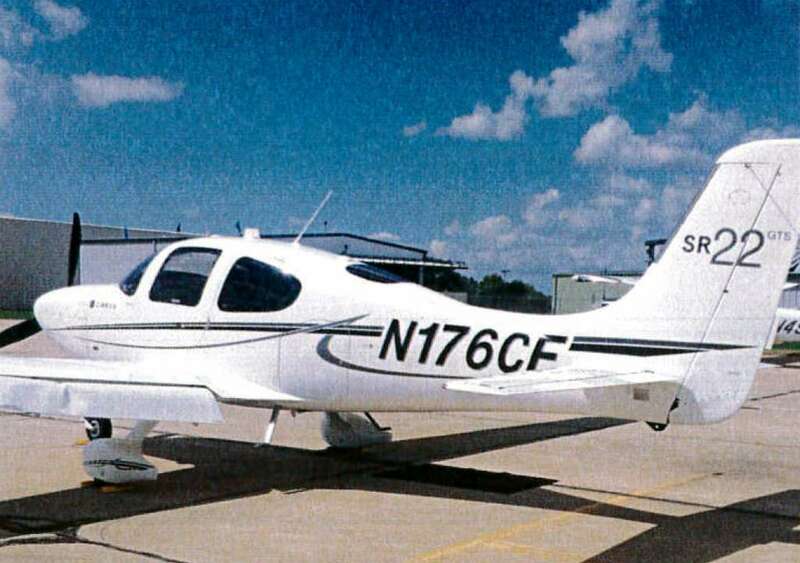 Unlike with the King Air, the university directly purchased the Cirrus for $470,000 for after trade-in — well below the $1 million threshold for requiring regent approval. The money came from foundation funds that were set aside for use at the discretion of the Iowa State president. 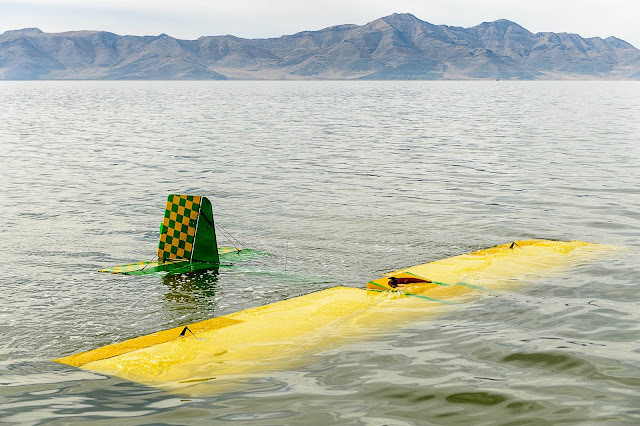 AIRCRAFT FORCE LANDED IN THE LAKE, 15 MILES FROM SALT LAKE CITY, UTAH. 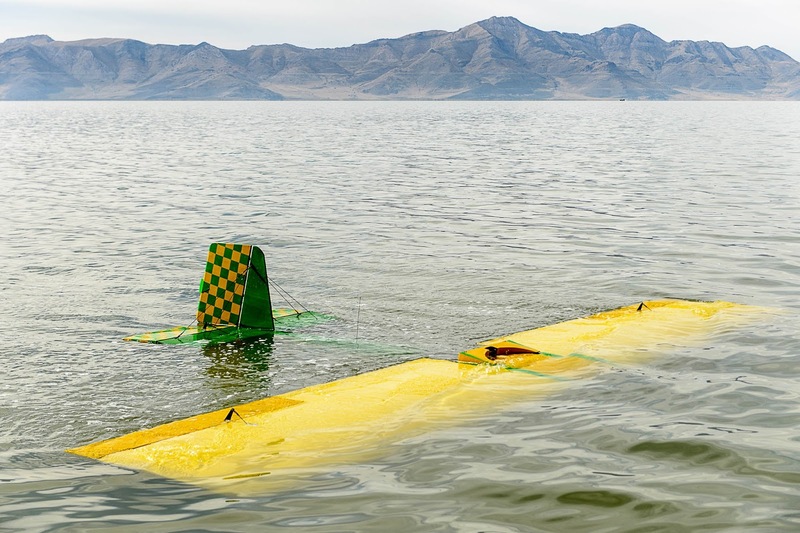 GREAT SALT LAKE — A pilot escaped with no injuries after making a hard landing into the Great Salt Lake on Thursday. 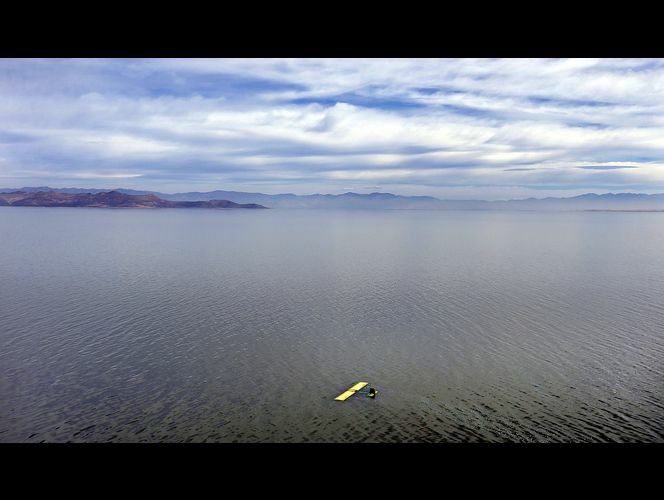 About 12:45 p.m., a single-engine aircraft went down after "the engine failed and (the pilot) was forced to make a controlled landing near Stansbury Island," according to Utah State Parks spokesman Eugene Swalberg. 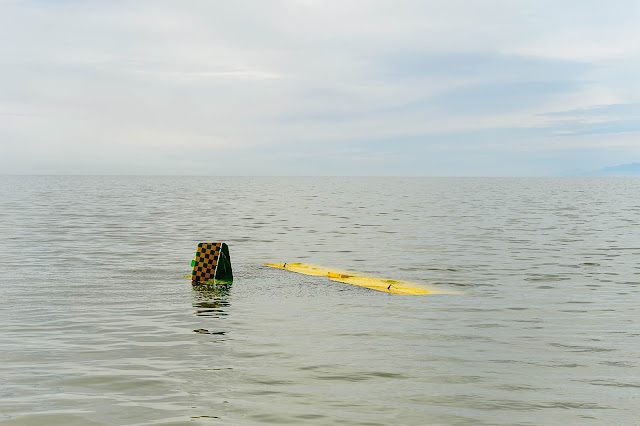 A boat with brine shrimpers on board saw the crash and got the 39-year-old pilot out of the water and onto their vessel, Swalberg said. 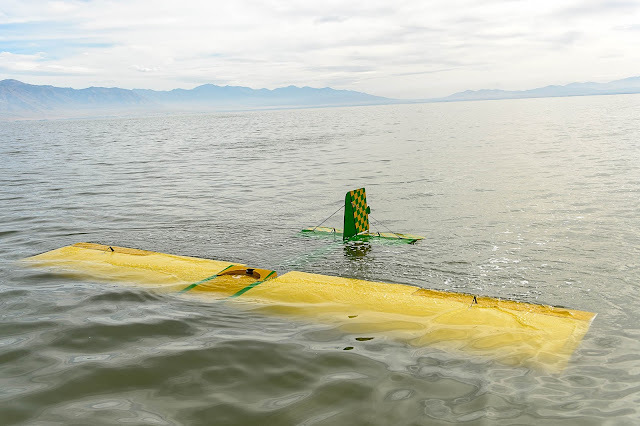 The brine shrimp boat contacted Utah State Parks, and the Great Salt Lake harbor master took a boat to the scene and picked up the pilot, said Unified Police Lt. Brian Lohrke. There were initial reports that the pilot was suffering from hypothermia. 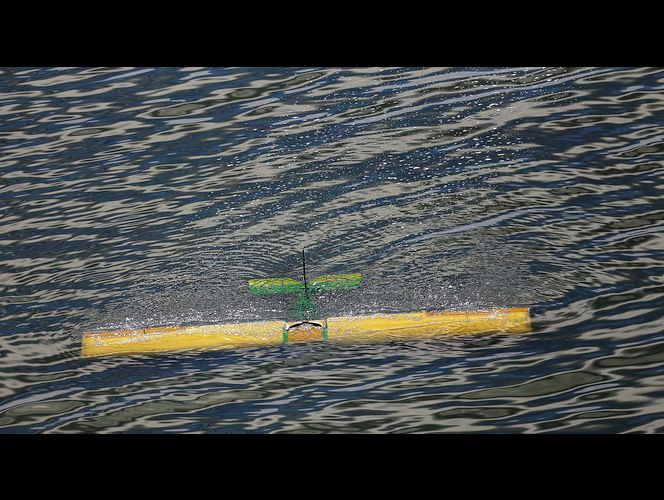 But Lohrke said he was in good condition when he got to shore and didn't appear to have any injuries. 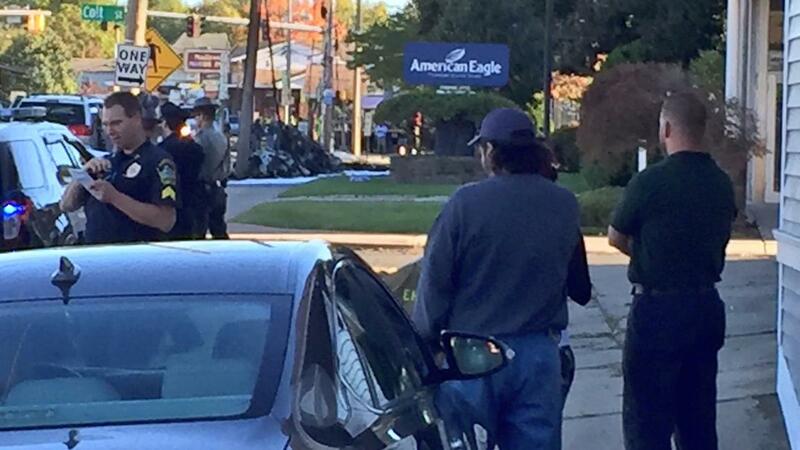 Swalberg said the pilot refused medical attention. Crews were attempting to remove the plane from the lake Thursday afternoon, noting that because of its wood and fiber construction that it was still floating on the water. 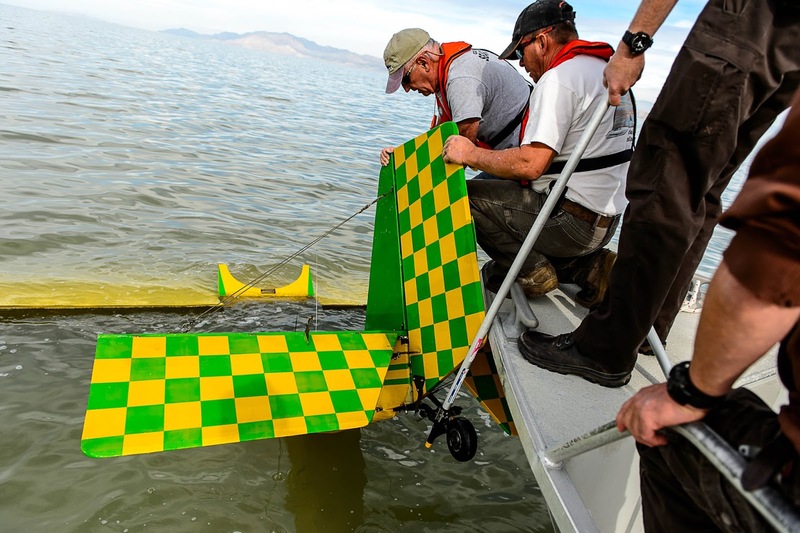 After the rescue, it was later determined that the plane crashed on the Tooele County side of the lake. 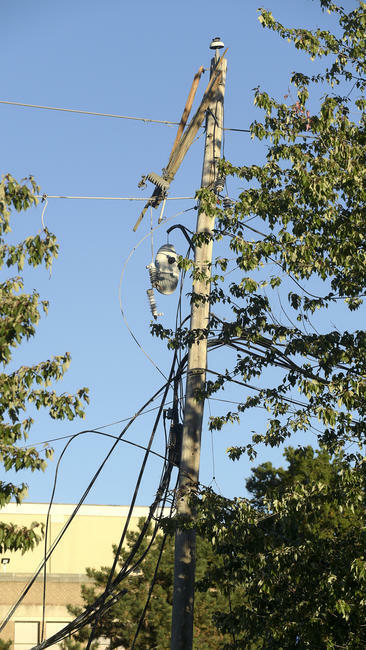 The Tooele County Sheriff's Office and Utah Department of Natural Resources will take over the investigation of the incident. 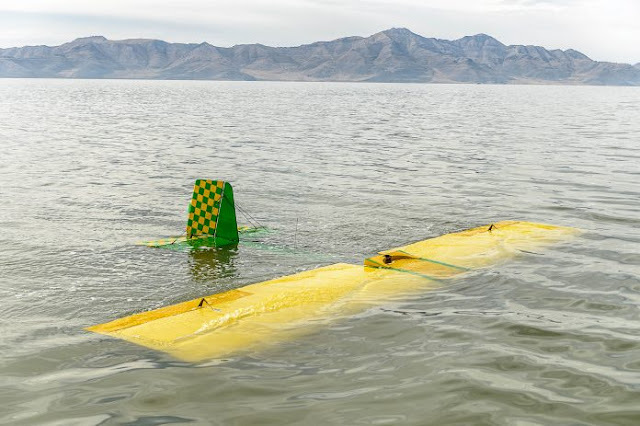 SALT LAKE COUNTY, Utah, Oct. 13, 2016 (Gephardt Daily) — A small civilian plane crashed into the Great Salt Lake on Thursday, according to posts on the Unified Police Department’s Twitter page. 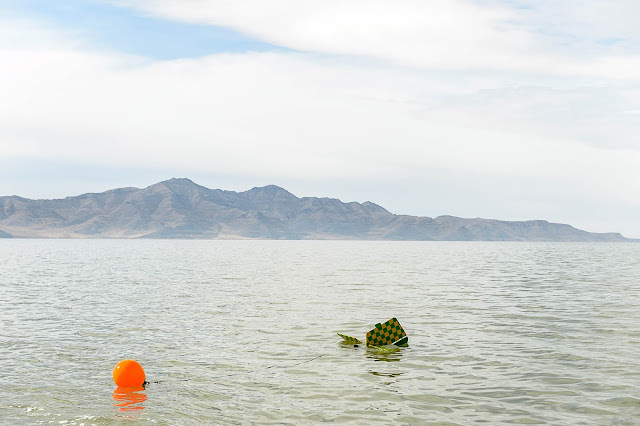 The posts stated that the crash occurred on the Tooele County side of the lake. UPD said the 40-year-old pilot, from Bountiful, was forced to make a controlled landing into the water near Stansbury Island. The pilot, the only person onboard the plane, sent out a radio message before going down at approximately 1 p.m. He was rescued by a crew from a nearby brine shrimp boat. Officials have not yet said what led to the crash. Because the plane crashed on the Tooele County side of the lake, the Tooele County Sheriff’s Office and Utah Department of Natural Resources will take over the investigation of the crash. (KUTV) Authorities are responding to a small place crash near the Great Salt Lake marina. Unified Police said the 40-year-old pilot, from West Bountiful, was flying the plane when the engine failed, forcing him to make a controlled landing into the water near Stansbury Island. 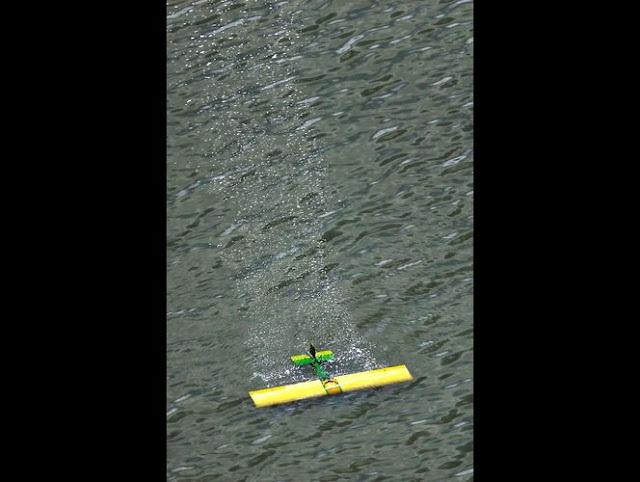 The pilot, the only occupant of the plane, sent out a radio message before going down around 12:45 p.m. 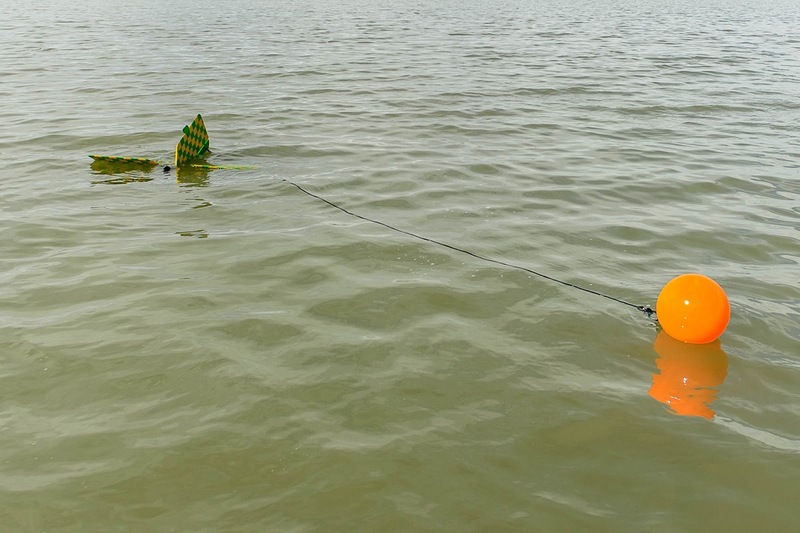 He was pulled from the water by a crew from a nearby brine shrimp boat, which called Utah State Parks for help. 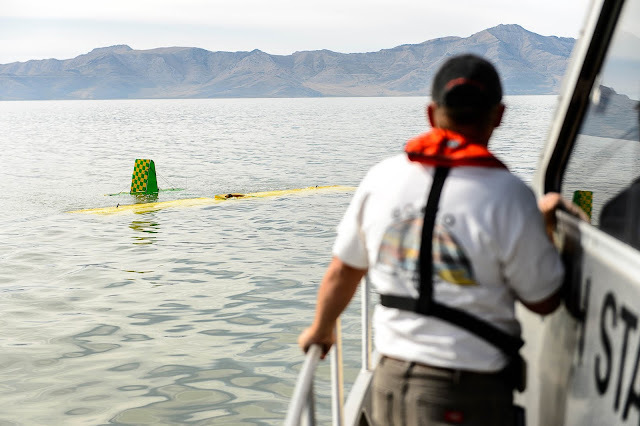 He "was shaken up and cold from the water," according to Utah State Park spokesman Eugene Swalberg, but said he was not hurt and declined medical treatment. 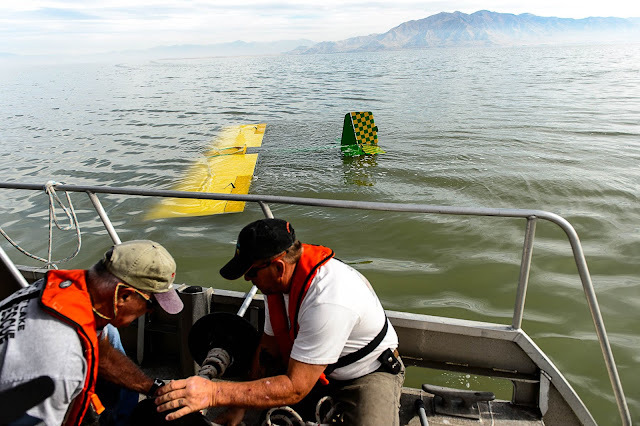 The plane was still in the waters outside the marina as of 2 p.m. Thursday, with Utah State Parks staff marking off the area so it becomes less of a navigational hazard for boaters and others on the lake. 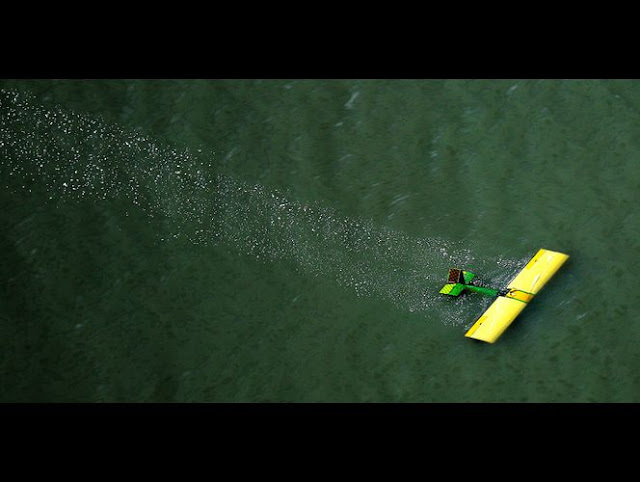 Because the plane is made of wood and fiber, park officials say, it is floating on the water's surface. The plane's owner, who was not on board during the crash, is being contacted about the incident, officials said. 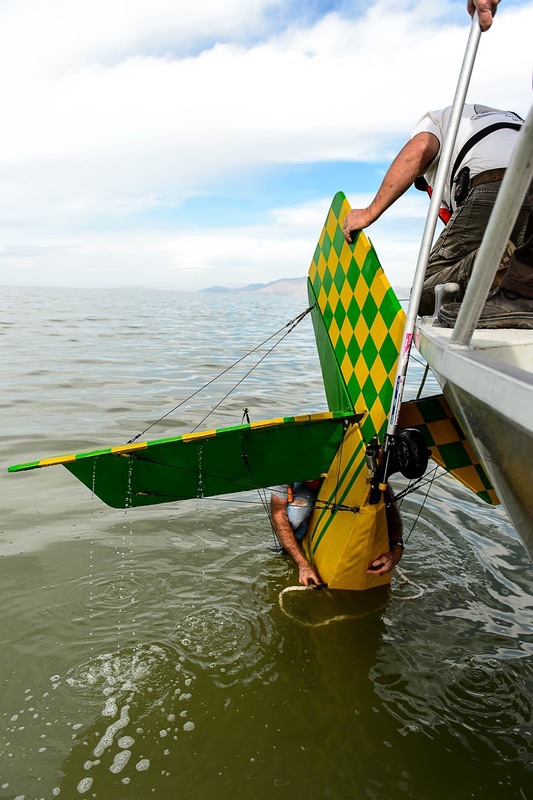 TOOELE COUNTY, Utah – A small plane made an emergency landing in the Great Salt Lake Thursday afternoon. Unified Police said the pilot, a 40-year-old man from Bountiful, was the only person on board and is in good condition. Authorities said the plane’s engine failed, forcing him to make the controlled landing in the lake near Stansbury Island, about 10 miles from the marina. Officers said the pilot was standing on the wing of the plane when a shrimp boat rescued him at about 1 p.m. 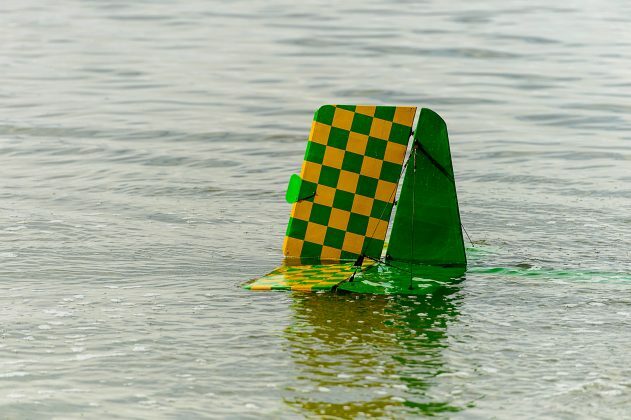 The pilot was cold from the water but said he was fine and refused medical treatment. The man was flying the plane from Bountiful to Knolls. 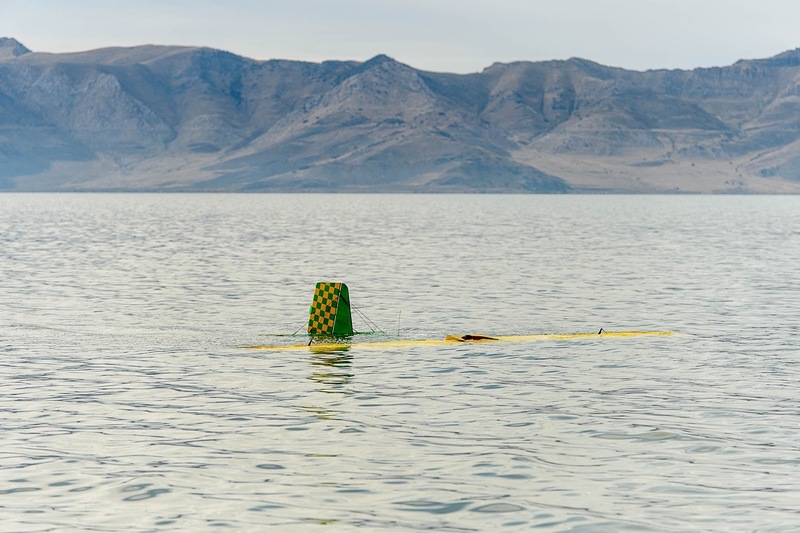 A pilot is in good condition after his fixed wing plane crashed in the Great Salt Lake on Thursday afternoon. 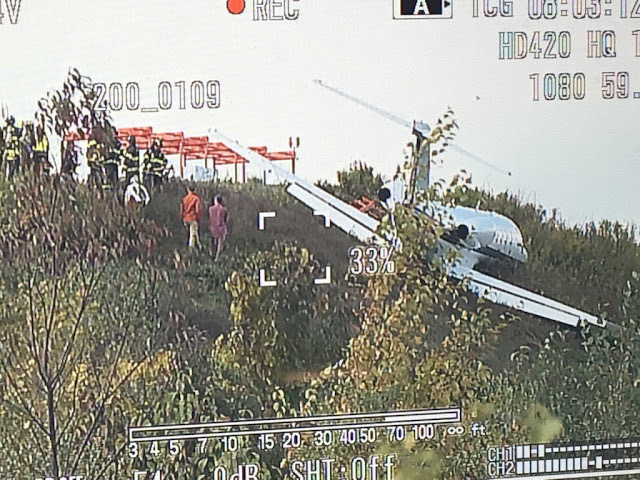 Lt. Brian Lohrke of the Unified Police Department said the harbor master was able to pick up the pilot, who was the only occupant in the aircraft. 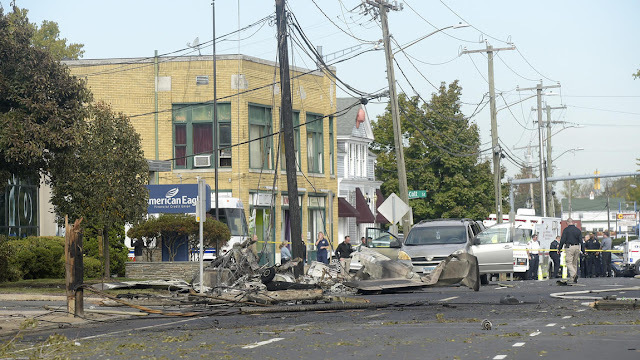 Dispatchers received a call shortly after 1 p.m. about the crash, Lohrke said. 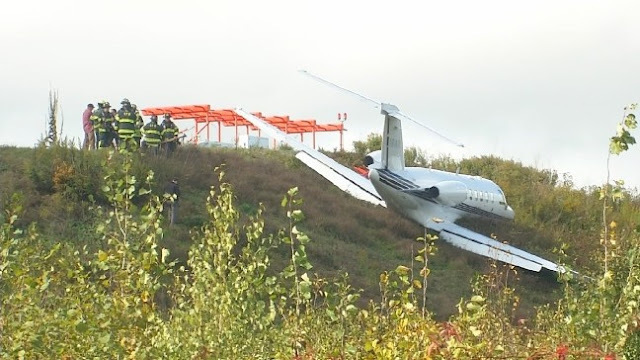 On October 13, 2016, about 1030 eastern daylight time, a Cessna 525B, N518AR, was substantially damaged during a runway excursion at North Central State Airport (SFZ), Pawtucket, Rhode Island. The commercial pilot, an airline transport pilot, and four passengers were not injured. The flight departed from Allegheny County Airport (AGC), Pittsburgh, Pennsylvania. Instrument meteorological conditions prevailed for the business flight conducted under 14 Code of Federal Regulations Part 91. During a conversation with a Federal Aviation Administration (FAA) inspector, the flight crew reported that the weather was below approach minimums, but they elected to continue the approach and descended below the clouds about 800 to 850 feet mean sea level. They stated the airplane was at an airspeed about 130 to 135 knots on the final approach leg to runway 05. Witness interviews and airport surveillance video revealed that the airplane touched down about midfield on runway 05, a 5,000-foot long, asphalt runway. About 2,000 feet of intermittent skid marks were observed until the airplane exited the end of the runway. 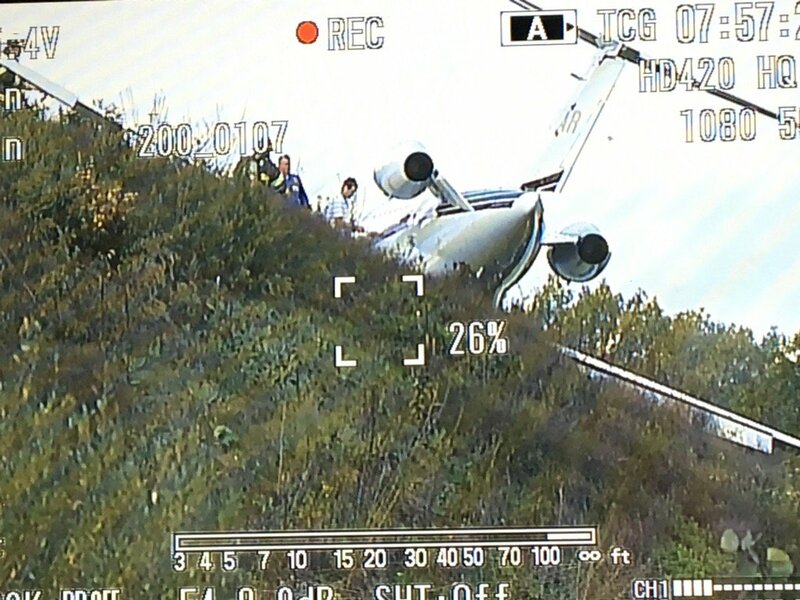 After exiting the runway, the airplane impacted the localizer antenna, located about 300 feet from the end of the runway. The airplane's wings and fuselage sustained substantial damage to the right wing tip, left wing leading edge, and nose gear. 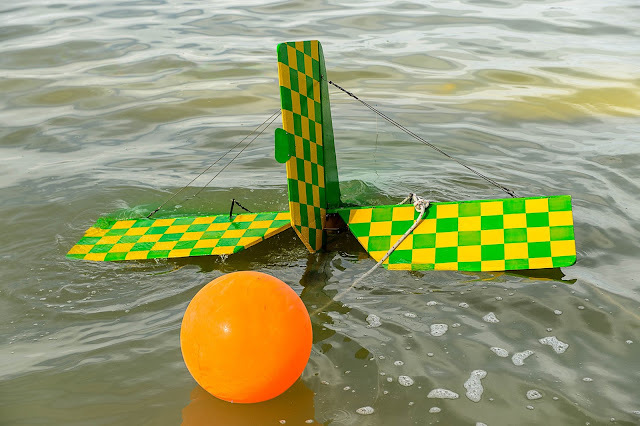 The eight seat, low wing, retractable tricycle landing gear-equipped airplane, was manufactured in 2014. It was powered by two Williams FJ44 engines, each capable of producing 3,000 pounds of thrust. Initial examination of the airplane by an FAA inspector did not reveal any abnormalities to the brake system. 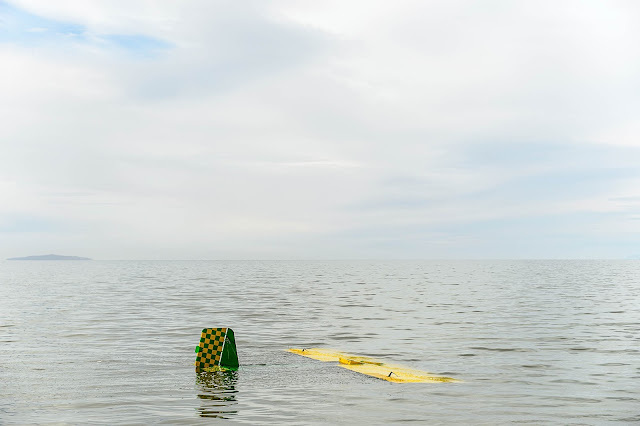 Weather reported at SFZ about the time of the accident included; sky conditions 200 feet overcast, 3 statute miles of visibility with mist and wind calm. 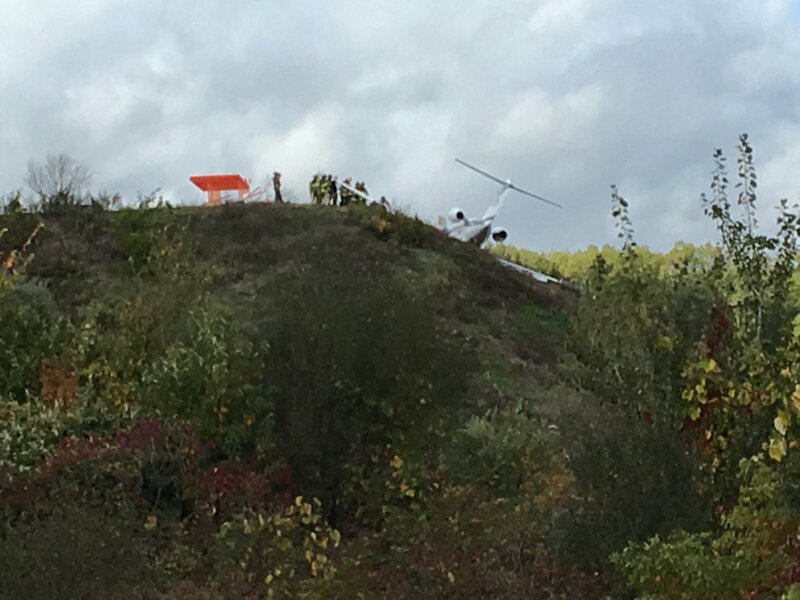 SMITHFIELD, R.I. (WPRI) — An investigation is underway after a small corporate jet left the runway and crashed after landing at North Central State Airport in Smithfield. 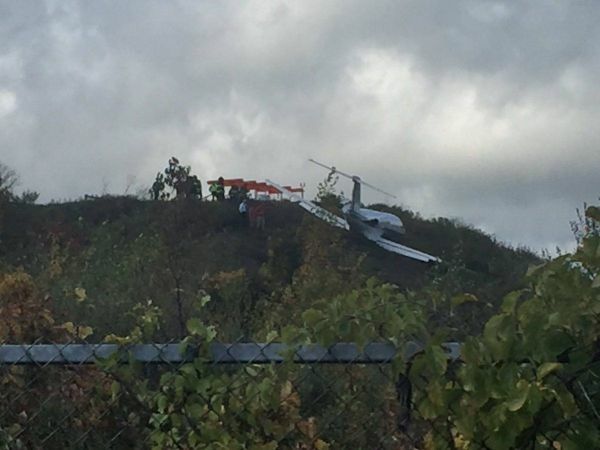 The Cessna Citation jet was flying from Pennsylvania to Rhode Island on business and landed at North Central at about 10:30 a.m., according to an airport official. 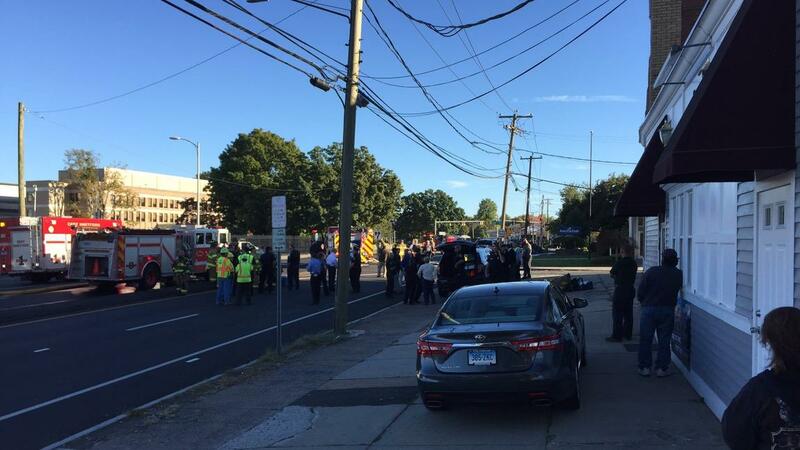 Emergency crews responded to the scene and doused the jet with water as a precaution. The official said six people were on board: a pilot, co-pilot, and four passengers. There were no injuries. According to the field condition report obtained by Eyewitness News, the runways at North Central were dry but the weather conditions were listed as cloudy with ground fog. 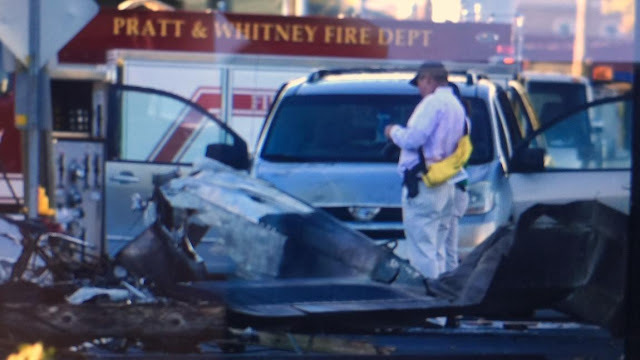 The airport official said it’s too early in the investigation to determine if a mechanical or human error led to the crash. 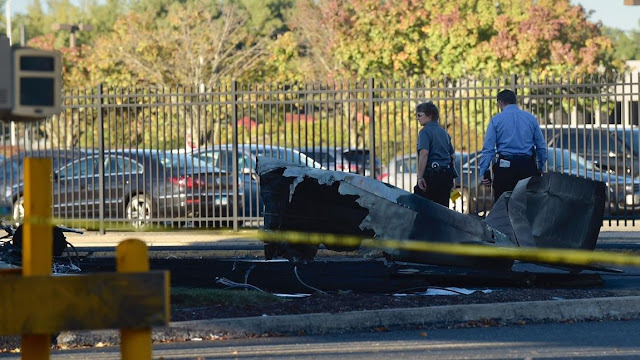 Representatives from the Federal Aviation Administration (FAA) were heading to the scene Thursday to investigate. SMITHFIELD, R.I. (WJAR) — A small passenger jet ran off the end of a runway at North Central State Airport in Smithfield on Thursday. 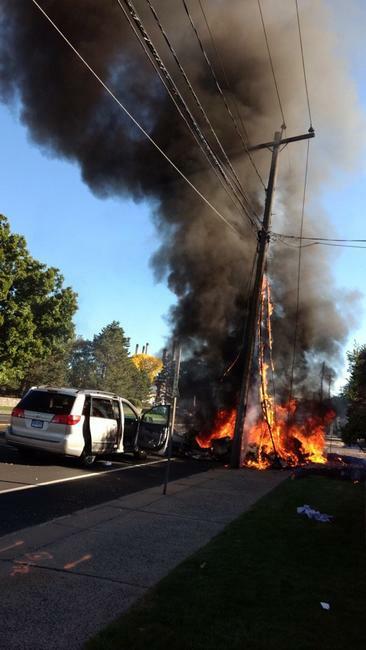 State police said there were no injuries to the four passengers, pilot and co-pilot on the plane. 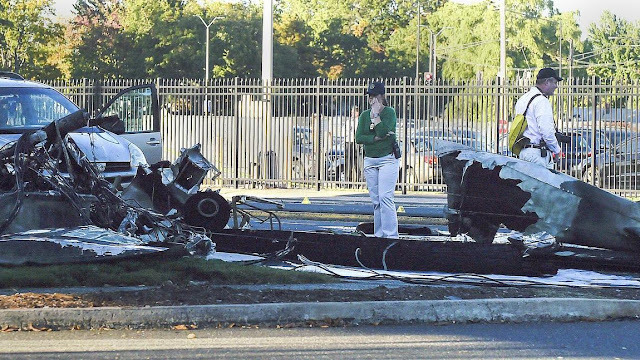 State police said the pilot failed to negotiate the runway properly. 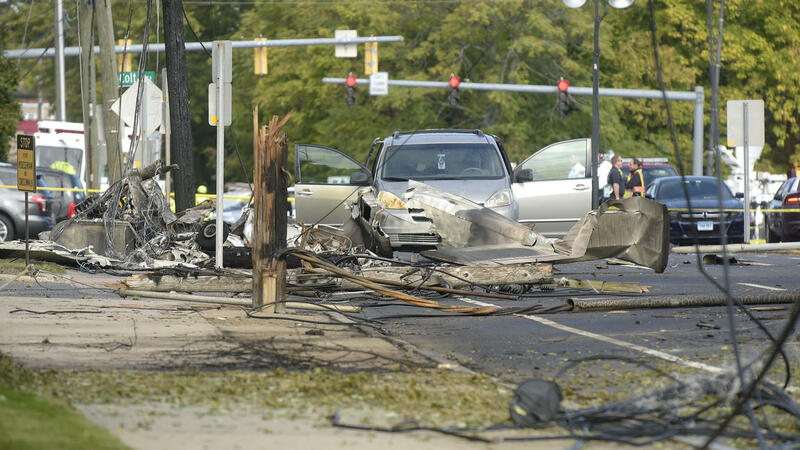 The plane had significant damage, state police said. According to the pilot in the tailwheel-equipped airplane, after a 1-hour-long local flight, he returned to the departure airport and noticed that he would be landing with a gusting, direct left crosswind. He reported that he made one low pass about 20 ft above the ground and that he “felt the airplane was steady.” He accomplished a go-around and initiated an approach. He recalled that he made a three-point landing and touched down about 50 mph on the runway centerline. When the wheels touched down, a wind gust lifted the left wing, and he tried to compensate with aileron and throttle, but he “was too slow to regain control of the airplane.” He reported that the left wing struck the ground and that the airplane exited the left side of the runway and nosed over. The airplane sustained substantial damage to both wings and the firewall. The METAR at the airport reported that, at the time of the accident, the wind was from 180° at 11 knots, gusting to 16 knots. The airplane landed on runway 27. Retaining control on the ground is a critical part of the after-landing roll, because of the weathervaning effect of the wind on the airplane. While the airplane is decelerating during the after-landing roll, more and more aileron is applied to keep the upwind wing from rising. Since the airplane is slowing down, there is less airflow around the ailerons and they become less effective. At the same time, the relative wind is becoming more of a crosswind and exerting a greater lifting force on the upwind wing. When the airplane is coming to a stop, the aileron control must be held fully toward the wind. The pilot’s delayed crosswind correction during the landing roll with a gusting left crosswind, which resulted in the airplane weathervaning and nosing over. The pilot reported that during landing at his private grass runway, the airplane "skipped" during the initial landing touchdown. Subsequently, as the airplane settled back to the runway, the nose gear collapsed, and the airplane nosed over. 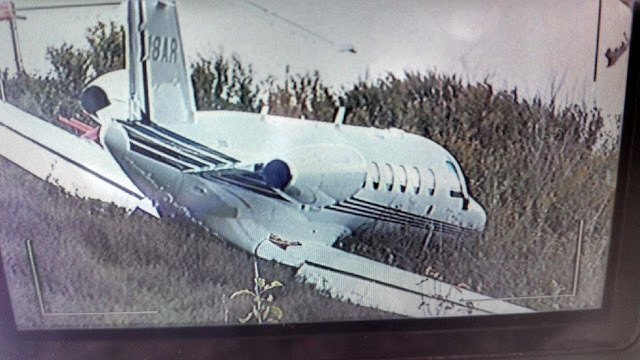 The pilot further reported that the grass was "soft." The pilot reported that the nose gear failed during the landing. According to a Federal Aviation Administration (FAA) Aviation Safety Inspector (ASI) who spoke with the pilot postaccident, the pilot reported to him that the airplane bounced during the landing touchdown and when the airplane settled back to the runway, the nose gear had been damaged and further sunk into the grass runway. 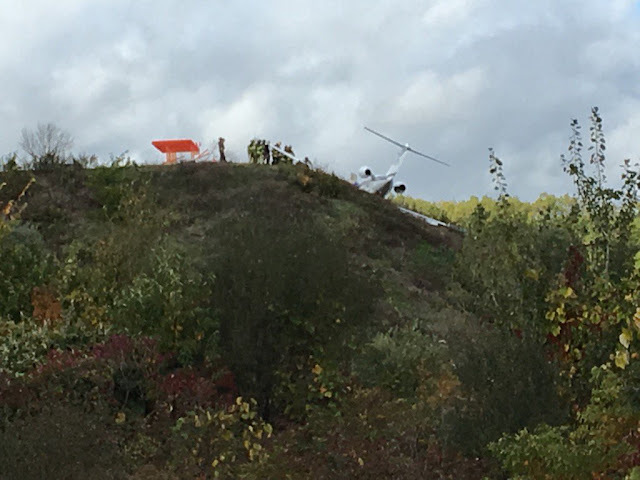 A photo provided by the FAA ASI showed an initial impact mark about 100 feet prior to the location where the airplane nosed over. It is likely that the nose gear was damaged during the initial touchdown. On October 12, 2016, about 1011 mountain standard time, the pilot of a Rockwell International 112A, N509CA, reported to air traffic control that the airplane had an engine problem, and was unable to maintain altitude. The airplane subsequently impacted terrain in a train yard about 3 miles west of the Deer Valley Airport (DVT), Phoenix, Arizona. Sho Co Kids LLC operated the airplane under the provisions of 14 Code of Federal Regulations Part 91, as a personal flight. 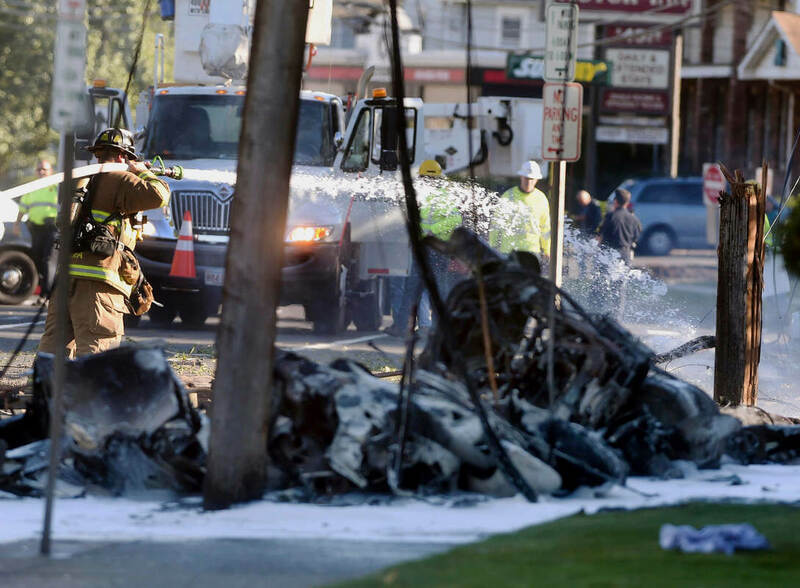 The pilot and passenger were seriously injured, and the airplane sustained substantial damage. The flight departed Falcon Field Airport (FFZ), Mesa, Arizona, at an unknown time, with an intended destination of Lake Havasu City Airport (HII), Lake Havasu City, Arizona. No flight plan was filed. According to tower personnel from DVT, the pilot requested to return to FFZ due to high engine oil temperature, and the airplane was losing altitude. 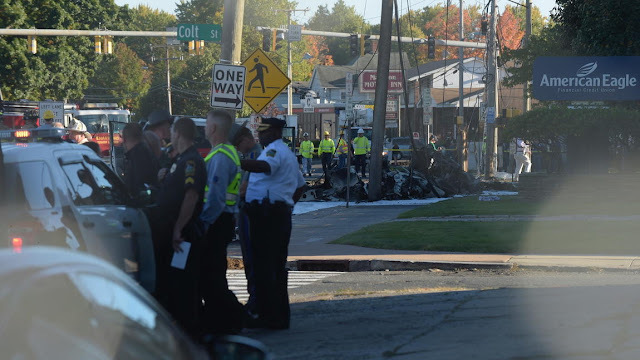 An investigator from the National Transportation Safety Board (NTSB), an inspector from the Federal Aviation Administration (FAA), and a representative from Lycoming Engines, responded to the accident site. A visual examination of the engine revealed a hole in the crankcase at the number 4 cylinder. 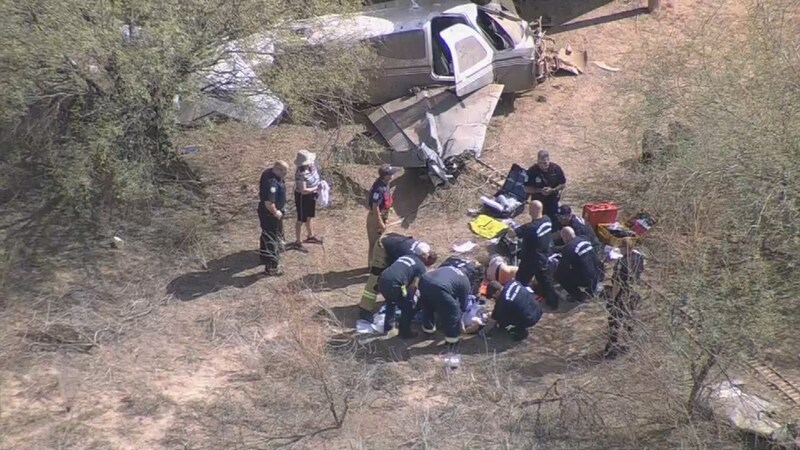 PHOENIX (KPHO/KTVK) - Two people were injured after a small aircraft went down in north Phoenix. 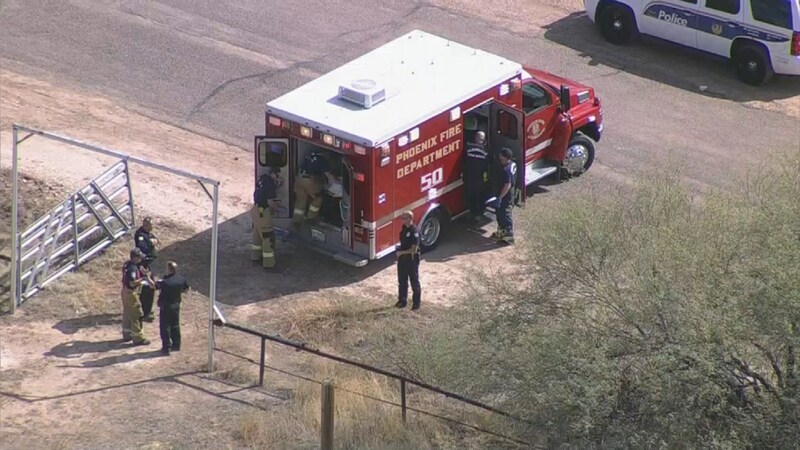 It happened around 10:30 a.m. near 43rd Avenue just south of Pinnacle Peak Road, about 4 miles west of Deer Valley Airport. "It's pretty scary I heard the plane puttering but didn’t realize it was going down," said Judy Edwards, who works nearby. Family members say Clint and Shlee Schuler, both in their 40s, were on board the airplane when it took off from Falcon Field Wednesday morning. After takeoff, the pilot saw the engine light come on and tried to return to Falcon Field. 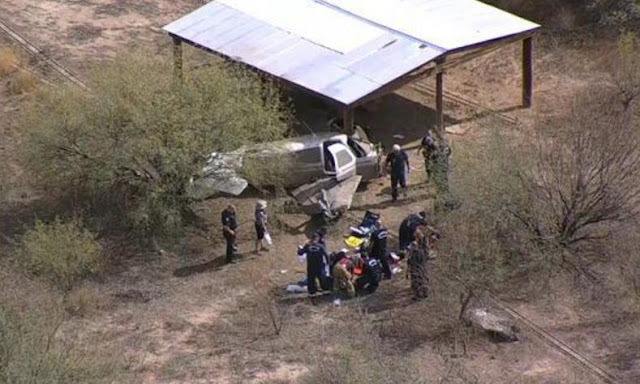 During his attempt to return the plane went down at Adobe Dam Park and collided with a park shade structure. 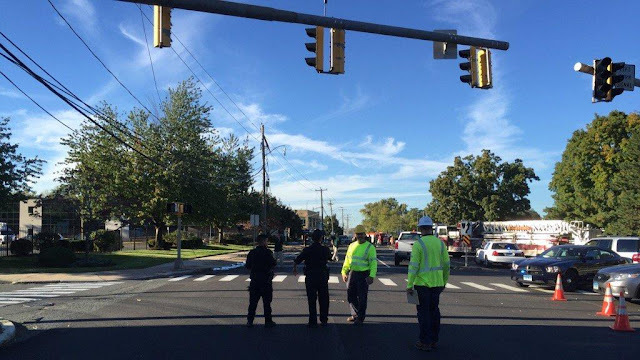 The two victims were transported to John C. Lincoln Hospital in serious but stable condition. Family members say the Schulers suffered mostly cuts and broken bones. 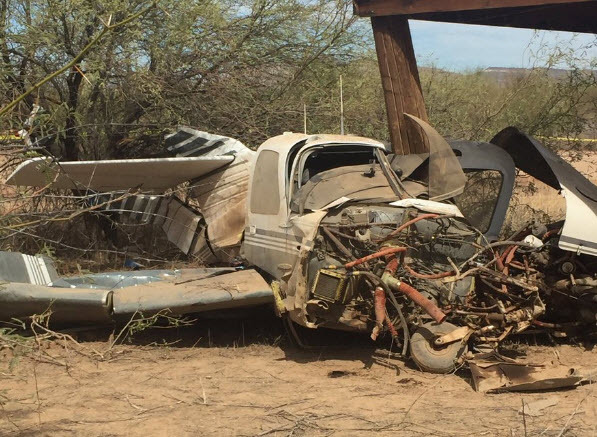 "When you see the damage to the airplane, the speed the fact that he didn’t have a landing strip, it's an absolute miracle that both of those patients were alive and talking to us," said Captain Rob McDade, a spokesman for the Phoenix Fire Department. 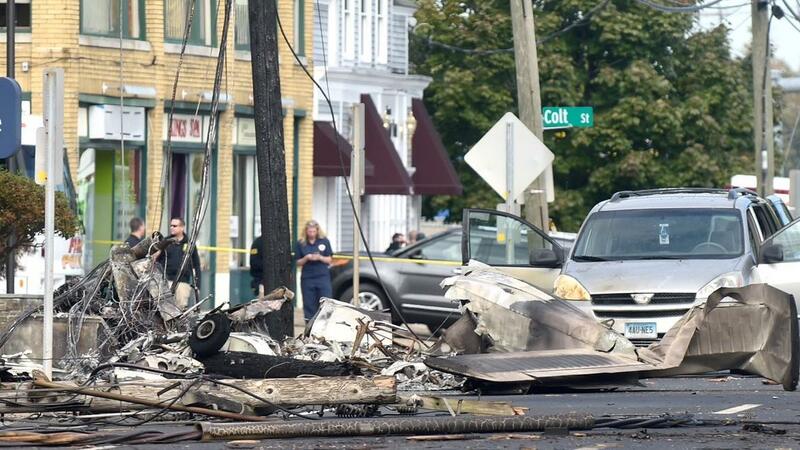 The FAA says that it's not known why the single-engine Rockwell Commander crashed. The aircraft was heavily damaged, with the propeller ripped off and heavily bent wings. There was no sign of a fire. Linda Cobb was in the area and saw it happen. "Everything moved in slow motion as I watched it disappear from the sky. Your eyes know what they are seeing, but your brain won't accept it," she said. "So glad to know that the pilot and passenger survived." The Schuler's were flying to California to celebrate the husband's birthday. 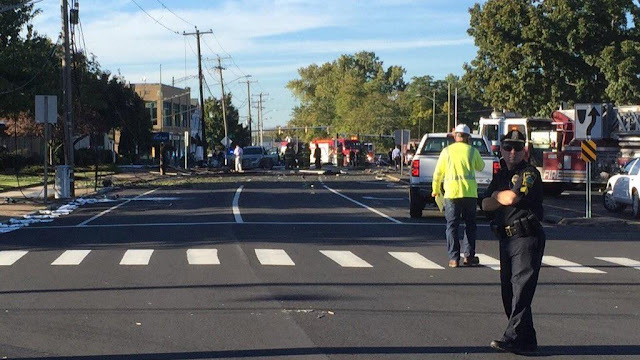 Family say the fact that couple's lives were spared is all he could ask for. "That’s a good gift that’s the best gift you can get," said Edwards. 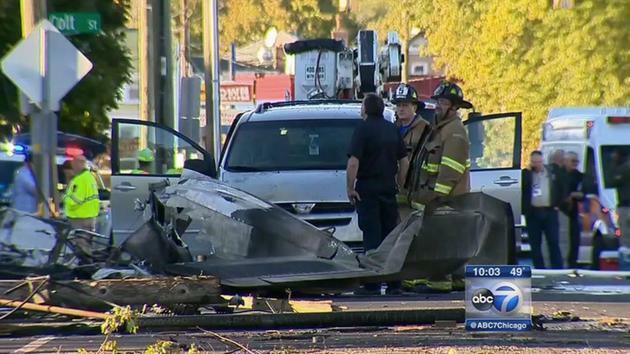 The plane was registered to Sho Co Kids LLC, according to the FAA. The pilot of a tailwheel equipped airplane reported that while landing on a dirt road with a left quartering crosswind, the "wind changed suddenly" and the airplane drifted to the right. He further reported that he applied power to abort the landing, but the right main landing gear "dropped off" the side of the dirt road and the airplane veered "hard to the right" into a ditch and wire fence. The left elevator sustained substantial damage. 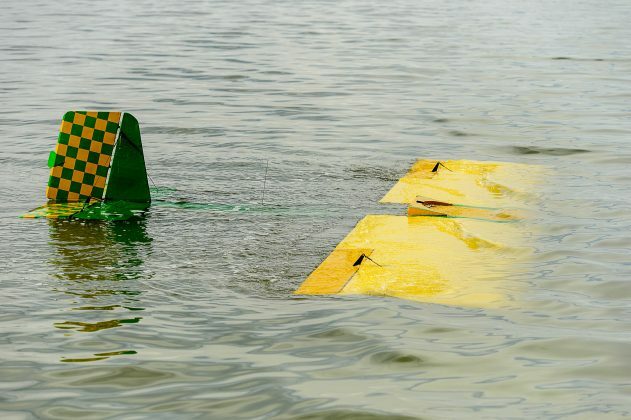 The pilot's failure to maintain directional control during the landing roll in shifting wind conditions. 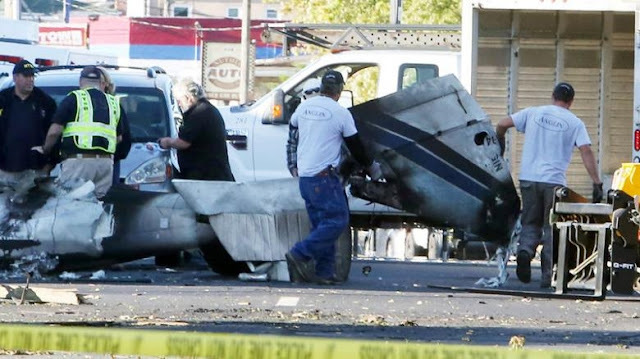 AIRCRAFT ON TAXI STRUCK A PARKED AIRCRAFT, WICHITA, KANSAS. 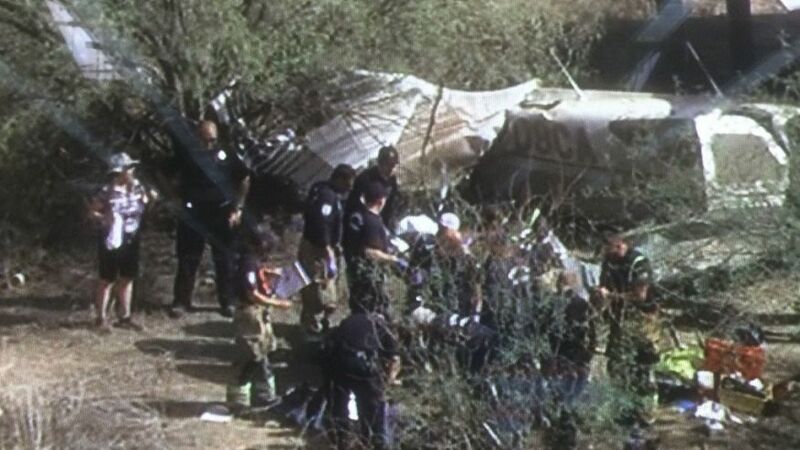 On October 10, 2016, about 1427 universal coordinated time, a Cessna 207A, Peruvian registration OB-1936-P, was destroyed during a collision with mountainous terrain near Santa Cruz, Cajamarca, Peru. 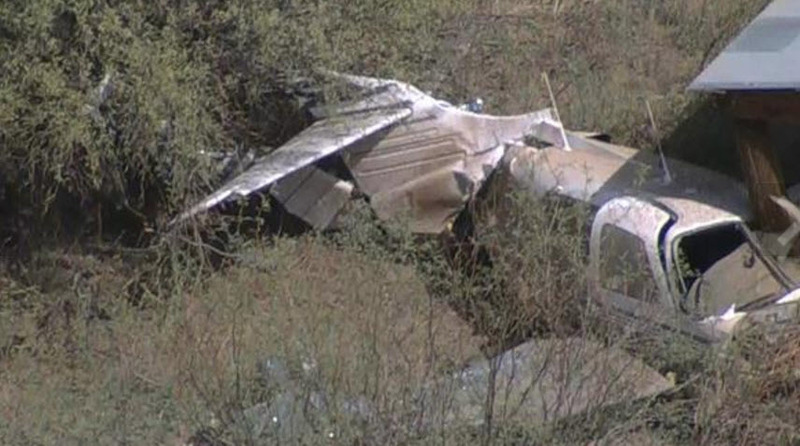 The pilot and two passengers were fatally injured. The flight originated from Captain Carlos Martinez de Pinillos Airport, Trujillo, Peru (SPRU), and was destined for Captain David Abensur Rengifo International Airport (SPCL), Pucallpa, Peru. This report is for information purposes and contains only information released by the Government of Peru. 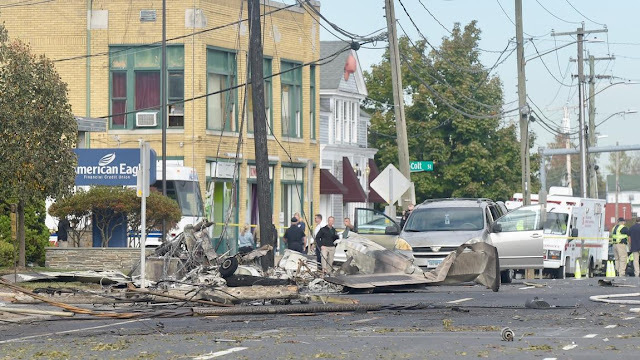 On October 11, 2016, about 1530 eastern daylight time, a Piper PA-34-200 twin-engine airplane, N15294, was destroyed when it impacted terrain near Hartford-Brainard Airport (HFD), Hartford, Connecticut. The flight instructor was seriously injured, and the private pilot was fatally injured. 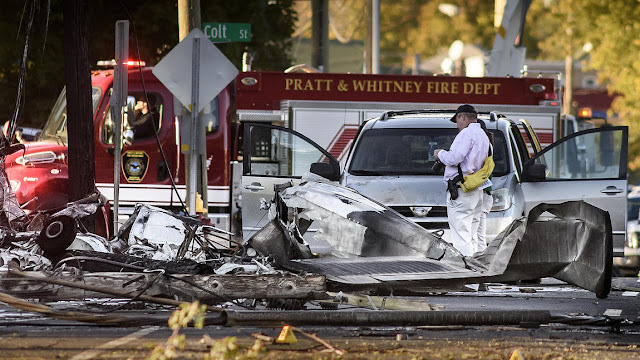 The airplane was registered to International Aviation, LLC, and operated by American Flight Academy as a 14 Code of Federal Regulations Part 91 instructional flight. Visual meteorological conditions existed at the airport at the time of the accident, and no flight plan was filed for the local flight that departed HFD about an hour earlier. The investigation of this event is being conducted under the jurisdiction of the Federal Bureau of Investigation (FBI). The NTSB provided requested technical assistance to the FBI, and any material generated by the NTSB is under the control of the FBI. 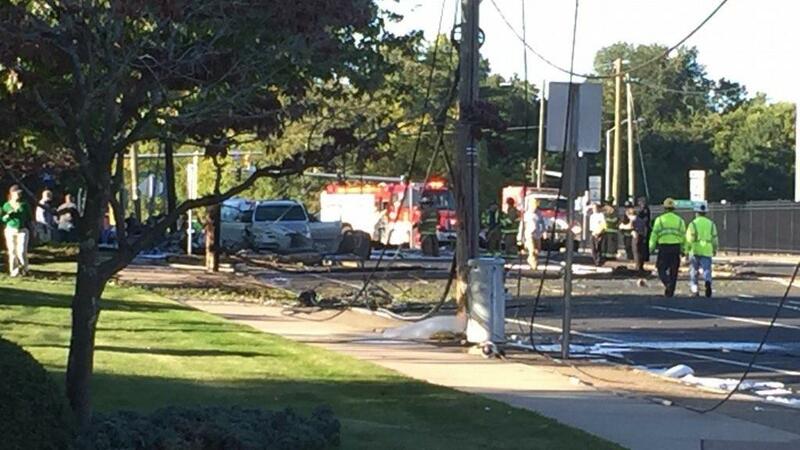 The NTSB does not plan to issue a report or open a public docket. 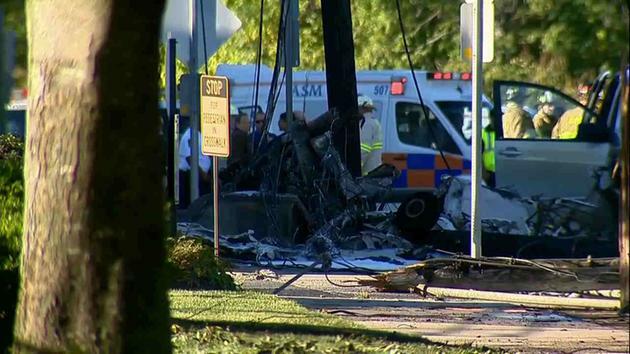 The NTSB did not determine the probable cause of this event and does not plan to issue a report or open a public docket. The investigation of this event is being conducted under the jurisdiction of the Federal Bureau of Investigation. The student pilot who authorities believe intentionally crashed a twin-engine airplane on Main Street Tuesday was acting increasingly erratic in the days before the crash, law enforcement sources said. 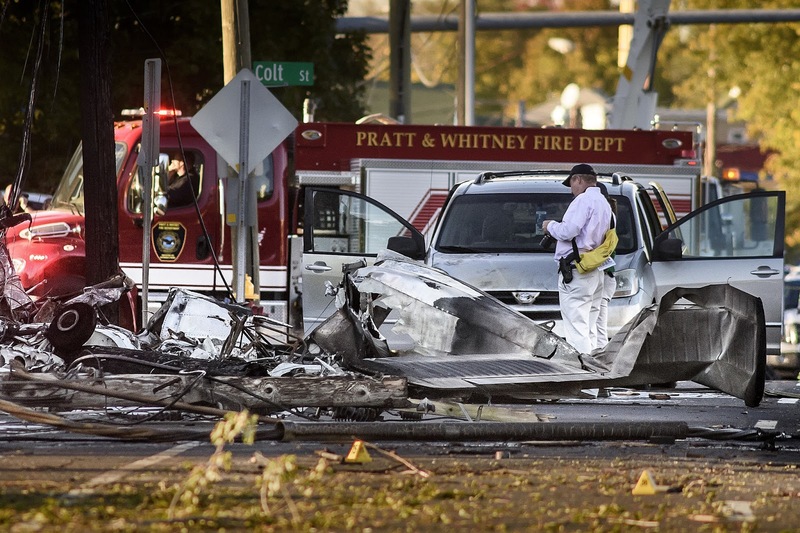 Feras M. Freitekh seemed out of sorts and, over the two or three days before the crash, was "confrontational" and "cranky," investigators said Freitekh's acquaintances told them. The behavior, while out of character, was not so alarming to prompt his acquaintances to notify anyone, investigators said. 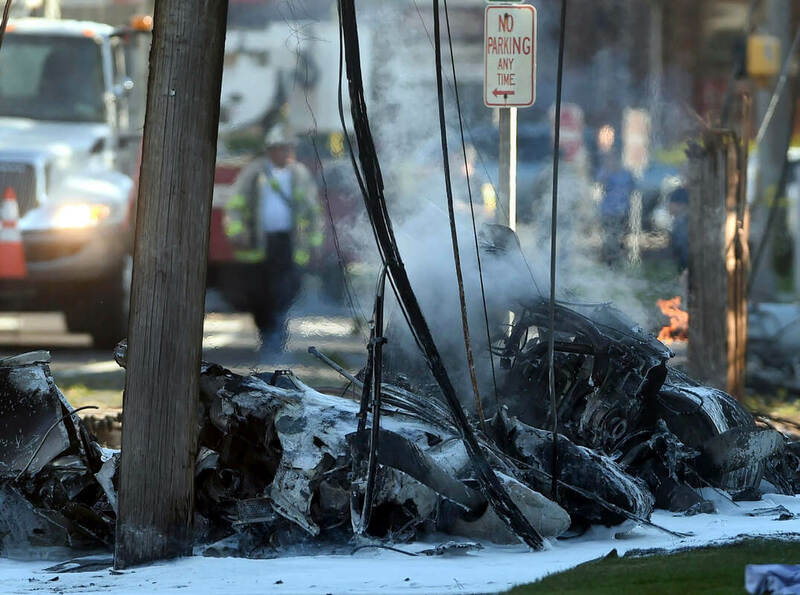 Law enforcement officials said Wednesday that Freitekh, 28, was flying the Piper PA-34 Seneca erratically and fought with the flight instructor, Arian Prevalla, 43, just before the crash. Prevalla was badly burned in the crash and was listed in fair condition Thursday at the Bridgeport Hospital burn center. 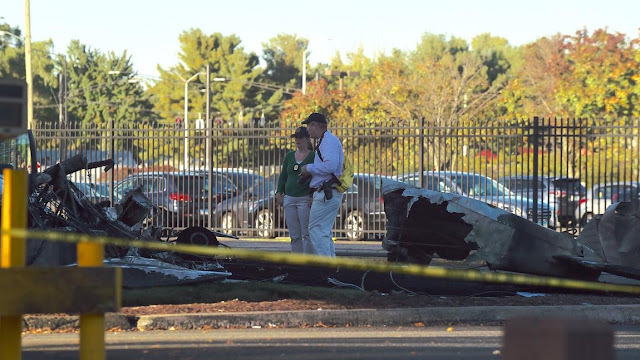 While authorities said Wednesday that Freitekh was distraught over his performance at the American Flight Academy at Hartford's Brainard Airport, the new information reveals more about the Jordanian national's state of mind in the days before the crash. 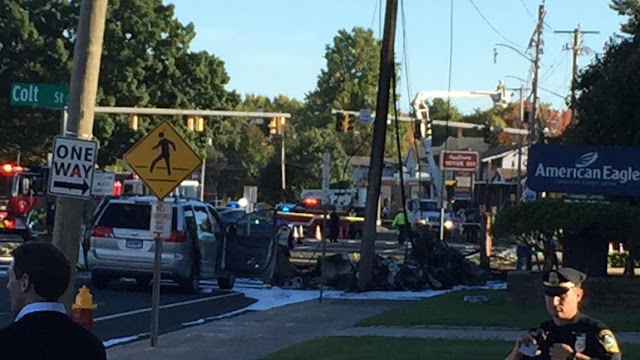 And the findings further support the theory held by investigators that the crash near the Pratt & Whitney headquarters was intentional. "This is looking like a suicide," an official said. The investigation is ongoing and authorities have said they have not reached a definitive conclusion on why the plane crashed. Local, state and federal authorities have searched the Annawan Street apartment in Hartford that Freitekh shared with several other foreign flight students and planned to search his electronic devices as well. So far, they have not found anything that would lead them to think terrorism was involved. Authorities interviewed Freitekh's roommates, and cleared them, sources said. 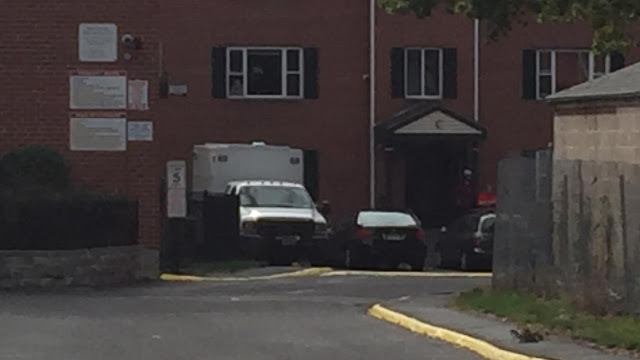 FBI agents also interviewed several foreign students living at an Essex Street apartment owned by Prevalla and cleared them. Neighbors on Annawan Street described Freitekh as a friendly man who always made a point to greet neighbors. Friends described him as being passionate about flying and insist he was doing well in flight school. 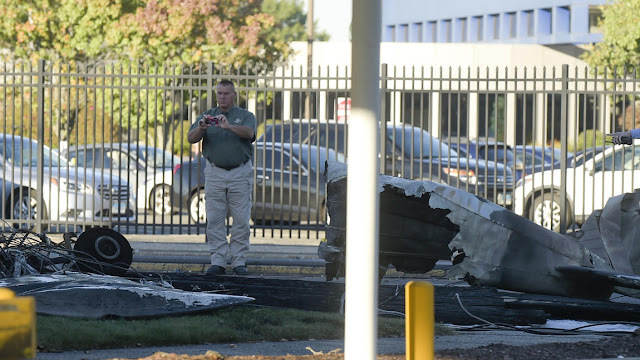 Freitekh attended the flight school since at least 2015, but listed his address at a home in Orland Park, Ill.
Wednesday, the chief of police in the Chicago suburb, Tom Scully, said Freitekh never lived there and had "no connection" to the community. Scully said the Orland Hills home listed on Freitekh's pilot's license was actually owned by a friend of Freitekh's father, who worked in nearby Alsip, Ill. The homeowner allowed his address to be used for mail that was sent to Freitekh because he did not have a residence of his own, the chief said. 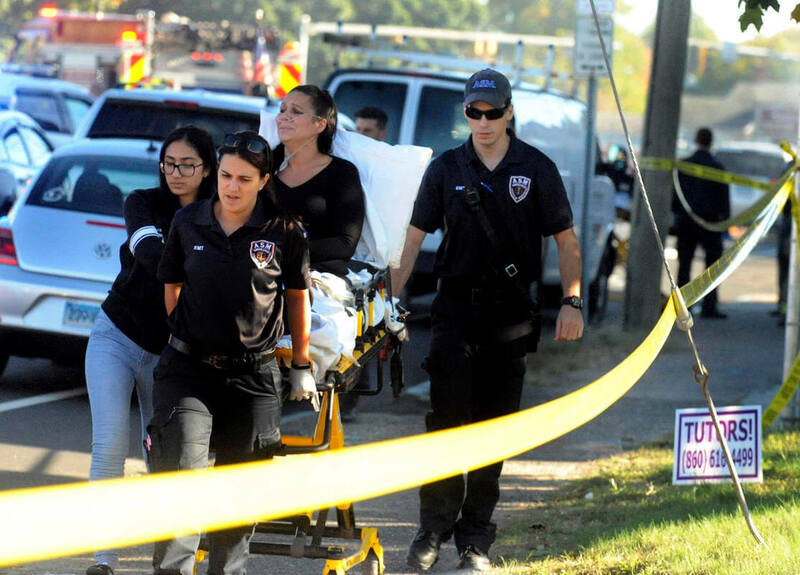 The Orland Hills homeowner would bring that mail to Freitekh's father, although it had been several months since a mail exchange was made, the chief said. Scully said Freitekh's father worked for a shipping container business and essentially lived at that location. He said Freitekh and his father had never been to the Orland Hills address listed on Freitekh's pilot's license. The aircraft wreckage was removed Wednesday night and crews from Environmental Services Inc. of South Windsor cleaned up aircraft fuel that was not consumed in the blaze and fluids from an electrical transformer. Traffic was again moving in both directions on Main Street near the crash scene on Thursday. Prevalla, after escaping the flaming wreckage, walked into the American Eagle Federal Credit Union office at 417 Main St. to ask for help, the credit union's CEO said Thursday. 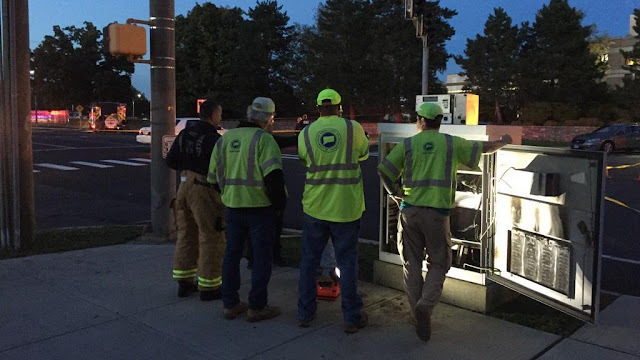 He then joined several employees who ran out a back door after the crash, and was treated in the back parking lot before being taken to a hospital. Credit union president and CEO Dean Marchessault said employees were not sure what had happened. "A couple of employees reported that they had seen a plane go by their window," he said. "Other employees that were on the ground floor ... just heard the explosions." It was only while employees were fleeing that they saw smoke and realized there was a plane crash. Marchessault was not at the office when the crash occurred and would not allow employees who were to be interviewed. 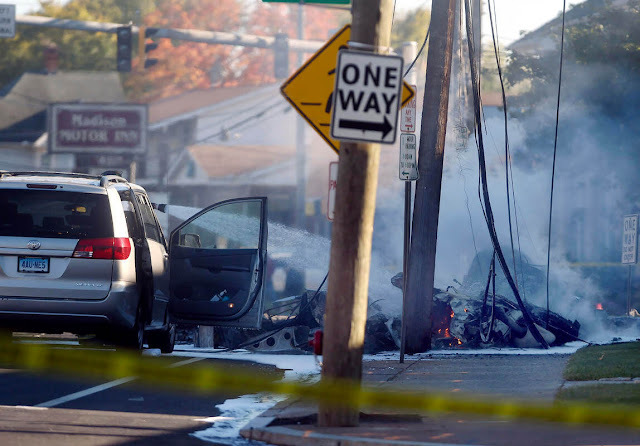 A Jordanian Muslim named Feras M. Freitekh, originally in the U.S. on a student visa, enrolled in a U.S. flight school and then crashed his airplane in Connecticut after arguing with his flight instructor. 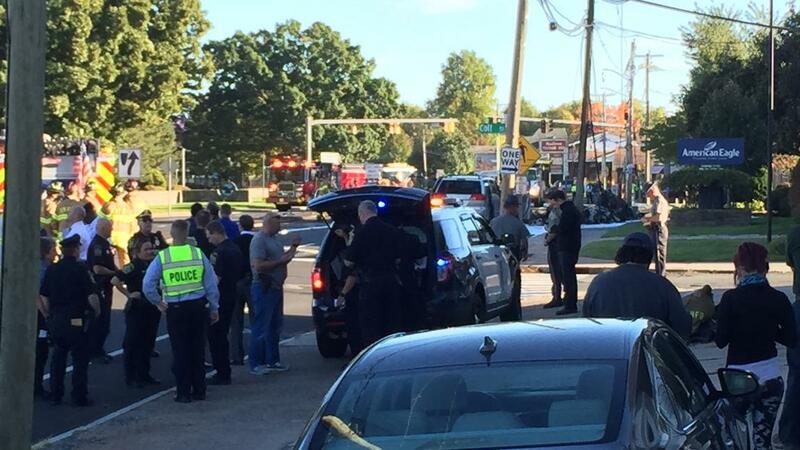 The FBI is investigating whether this was an act of terrorism. Sources say the crash was intentional, and that Freitekh lives with three other "foreign nationals," also attending U.S. flight school. A Middle Eastern Muslim man originally on a student visa, in a U.S. flight school? Have we learned nothing since 9/11? Apparently not. Middle Eastern Muslims are still attending U.S. flight schools in large numbers.